Soccer goals with personalized wall from Vispronet® are a special gift idea for little soccer fans, or even an unerring advertising space for companies. Soccer goals with wall provide a lot of fun and make for an exciting competition to stimulate and to transform even the smallest garden into a soccer field. The goal wall is made of weather-resistant polyester fabric. The top left and bottom right corners are equipped with rim reinforced targets. The full canvas area is 4-color printable and it can be quickly and easily attached with Velcro straps to the frame. Soccer goals with individually designed wall guarantee a lot of fun with goal shooting training or with other sportive activities. Goal walls from Vispronet® are made of robust polyester fabric and are equipped for a varied fun with two shot holes. For quick attachment to the gate frame the wall is fitted on three sides with velcro loops. Goal wall and frame are additionally secured with eleven pegs to the ground - the game can begin. Goal walls are a fun factor in both private and commercial sectors. They are popular with young and old. Printed with your own motif, they are a small highlight at every company and family celebration. With a personalized goal wall even absolute laymen will try their luck. Ideal for smaller competitions at public events, such as fairs and sports festivals. Individual goal walls from Vispronet® are delivered with or without a goal frame, depending on customer requirements. Just select the option you want during product configuration. The football goal was tested by TÜV and it consists of powder-coated metal tubes. It is very easy to set up due to a click-in installation with safety lock. The goal wall with its own design is equipped with two holes and fits perfectly into the supplied frame. The printable area of goal walls is made of a weather-resistant polyester fabric or robust mesh banner. Practical Velcro loops are mounted on all three sides. Thus, the goal wall can be quickly and easily attached to the frame. Additional pegs anchor the football goal and the printed wall firmly in the ground. The goal walls from Vispronet® can be printed in just a few steps according to your personal wishes and ideas. In your own garden custom printed goal wall is a highlight at every barbecue party, children's birthday or just playing in the summer. Our printed goal wall is also a good choice for use as advertising material. Print your own goal wall with custom design of product you wish to promote. With a logo or a brisk slogan, the personalized goal wall fulfills two functions. On the one hand it is an interesting eye-catcher and on the other it advertises your company, club or your products. If you do not have your own motif, the free design tool will help you during the ordering process. Visprodesign® tool is integrated directly into the configuration process so that you can design your own goal wall online with just a few clicks. Combine ready-made templates with your own elements, text or free cliparts provided by Visprodesign®. Whether beach, terrace or trade fair, with the right design you can create entertaining moments and unique eye-catchers. A welcome football gift for sport clubs, school classes and your own family. Whether trade fair, company party or other event, soccer goals are an exciting and diversified attraction for guests and visitors. Providing you and your guests with physical activity and fun at the same time. Anyone involved in such an activity will associate positive emotions with your company, products or services. This way you can convince many potential new customers and make yourself known at the same time. In addition to sport and fun factor of goal wall your design is also very important. If you simply wish to draw attention to your company, often the goal wall is printed only with company logo and name. If necessary, you can also use a motto or catchy slogan associated with your company. 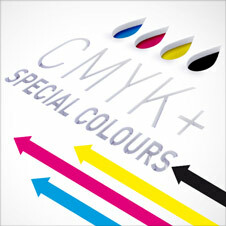 If you wish to promote new products or services, you can make the advertising print more complex. A well-considered slogan would be very helpful. This should appeal to the targeted group and at the same time trigger emotions that lead to the purchase or use of your services. In addition, photos or large-format product images can optimally place your product in the spotlight. For a successful presentation in sharp resolution, it pays even to take professional photos. After all, the expert knows best which lighting conditions and which angle the perfect photo needs. However, to incorporate your own photographs, graphics and other motifs into Vispronet® design templates, you do not have to be a professional. With our design tool Visprodesign® even laymen can accomplish ingenious designs. Try it now and see for yourself! Urgent orders can be made through our fast overnight service. If you need your goal wall promptly and have not time to use the normal standard delivery shipping, you can place your order and receive it overnight. At the end of your order, select "overnight" as a delivery time. All you need to do is to provide an error free print file until 9:00 am and you will receive your order within one working day. On the product page, during the ordering process, you can check any options, such as whether to deliver your goal wall, including frame and net, also the quantity. Additionally, you can see the product prices incl. VAT, plus shipping. Air-permeable fabric banners are used in various Vispronet® products. In addition to the goal walls, the air-permeable mesh material is also used to create leisure chairs or façade banners The weather-resistant material is printable on one side and is very suitable for windy regions.